Is Captain Marvel’s Alien Cat Hiding in the First Poster? Captain Marvel appeared to be alone in the official poster released this morning, but it loos like her alien cat Chewie might have snuck into the shot. 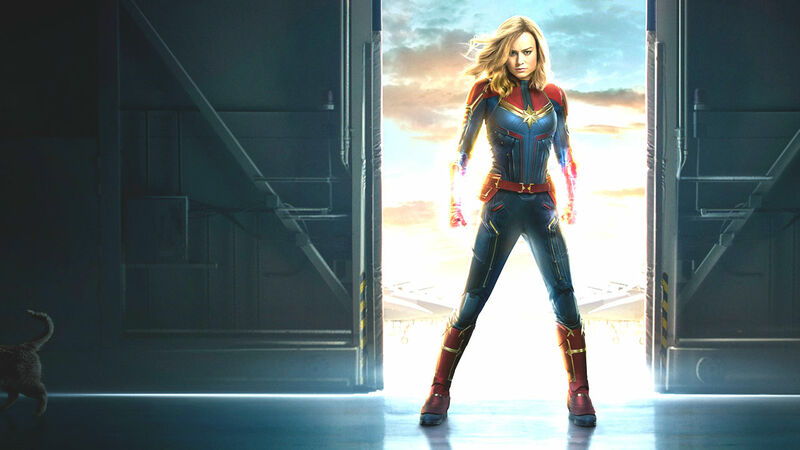 As noted by the eagle-eyed reporters over at Vulture, there seems to be a strange, furry figure hanging out off to the far-left edge of the poster, exiting the image away from Brie Larson’s Captain Marvel.